Toner on vinyl on adhesive. 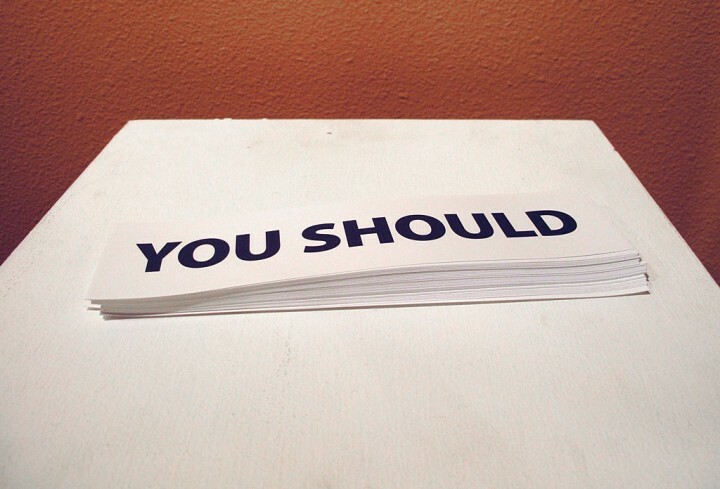 8 x 2 inches, edition of 50.
this limited edition series of bumperstickers helps to remind me of the limiting power of this succinct statement–that this advice should most always be taken with a heavy dose of salt. A sculptural installation was included in the exhibit with the series. 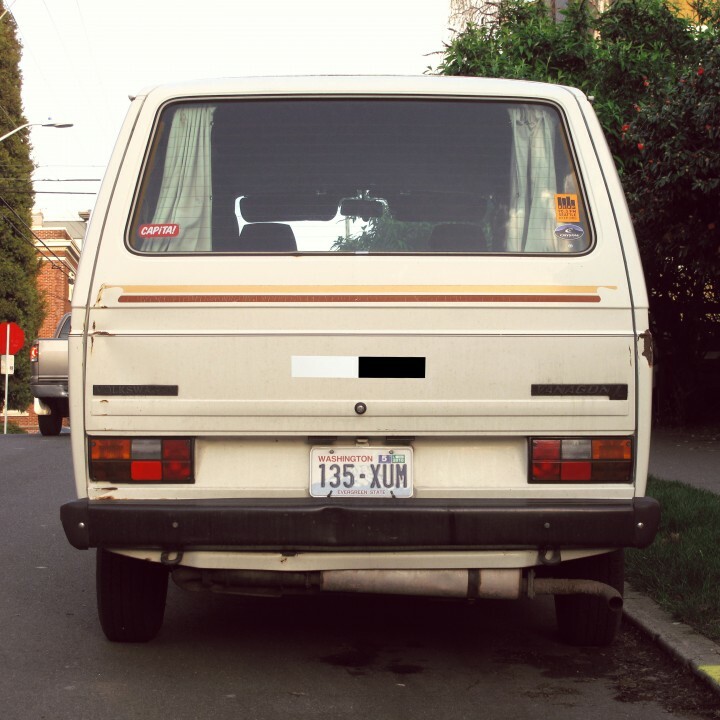 Bumperstickers. Diptych ('Light' & 'Dark'), 8-3/4 x 2-3/4 inches each. Portable wall, stickers, typography, performance. First performed for Vital 5’s August 2009 Arbitrary Art Grant in Art Dealing, an hour-long, outdoor performance where art dealers lined an imaginary storefront, peddling art and acting as a wall. 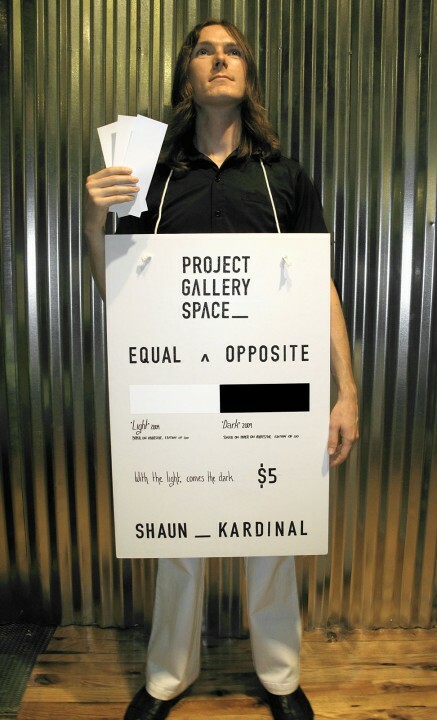 I chose to create not only a new exhibition of work, but also a new gallery with which to promote it: PROJECT GALLERY SPACE, a portable wall, in this instance displaying the most recent work by local artist Shaun Kardinal. The exhibition was titled Equal ∧ Opposite and featured two new works: the first, a strip of paper on adhesive, titled Light; the second, Dark, toner on paper on adhesive; each 8¾ × 2¾ inches, edition of 100. The former ran for $5 and, naturally, included an edition of the latter, which was not for sale. With the Light, Comes the Dark.